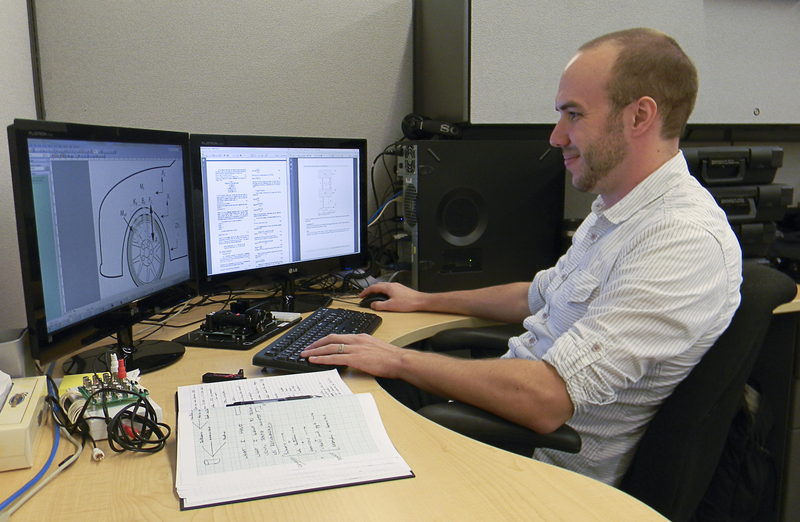 Quanser’s newest staff member is Peter Martin, a young mechatronics engineer with a particular interest in education. Peter assumes the newly-created position of Curriculum Developer within our Curriculum Group. This hiring reflects Quanser’s growing investment in new products and the importance we place on developing the innovative, time-saving course materials that accompany them. Peter’s duties include developing course materials for upcoming products as well as updating curriculum for existing products. He is also the lead teaching assistant for a graduate course in modern control theory being taught at the University of Toronto by Quanser’s founder and Chief Technology Officer, Jacob Apkarian. After graduating from the University of Guelph with a BSc.Eng in Systems and Computer Engineering and the University of Toronto with a MASc in Robotics, Peter was a laboratory engineer in the undergraduate aerospace lab at U of T for a period of time before coming to Quanser. His path to an engineering career may have been fixed as early as kindergarten, where he would build huge constructions with building blocks, prompting his kindergarten teacher to declare, “You’re going to be an engineer someday.” That was borne out in high school, where he first became involved with robotics. For a school fundraiser, he managed to program the electronics lab’s robot to panhandle for money in the cafeteria. Peter is committed to mentoring and science education, and has been a volunteer judge for the Canada-Wide Science Fair. His outside interests include playing jazz trumpet, skiing and cycling.